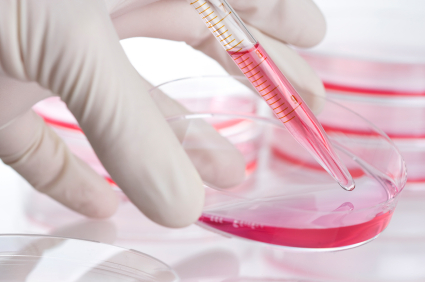 Why it matters: Stem cells hold great potential as a way to promote tissue regeneration. However, this approach has been limited because stem cells don’t produce enough growth factors after transplantation. The researchers’ new super-charged stem cells could be used to treat an infarction (death of tissue caused by blockage of the blood supply, by a clot or another obstruction), or to induce blood supply for engineered tissues. Methods: After removing stem cells from mouse bone marrow, the researchers used specially developed nanoparticles to deliver the gene for the growth factor VEGF (vascular endothelial growth factor). The stem cells were then implanted into damaged tissue areas. These nanoparticles, which the MIT team has also tested to deliver cancer treatments, are believed to be safer than the viruses often used for gene delivery. Next steps: Though the results are promising, the technique needs more improvements before any human trials can begin, says Daniel Anderson, a senior author of the paper.